I know what you’re thinking, Matzo Crack! What on earth is that about? During Passover, the Jewish holiday you’re only allowed to eat unleavened bread. Those celebrating the holiday try to invent creative ways to use their matzo. From breakfast dishes to dessert, matzo has a place at the table. Quite frankly I love matzo but if you actually eat it for 8 days you’ll need to follow up the next week with either Metamucil or lots of bran. I opt out to be almost totally matzo free. It’s just not worth the discomfort if you know what I mean! Passover which began at sundown this past Friday evening, (in Hebrew, Pesach) commemorates the exodus of the Jews from slavery in Egypt. The holiday originated in the Torah, where the word pesach refers to the ancient Passover sacrifice (known as the Paschal Lamb); it is also said to refer to the idea that G-d “passed over” (pasach) the houses of the Jews during the 10th plague on the Egyptians, the slaying of the first born. The holiday is ultimately a celebration of freedom, and the story of the exodus from Egypt is a powerful metaphor that is appreciated not only by Jews, but by people of other faiths as well. Passover last for 8 days and night. During the first two days of the holiday there’s a Seder (literally, “order”). During which time families gather for a festive meal and recite from the haggadah (story of the exodus and related writings). 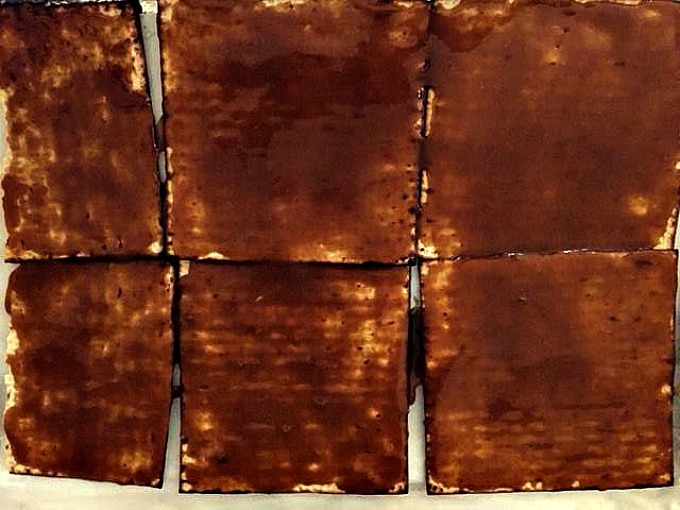 Since Matzo is one of the main traditional foods served during Passover, recipes abound. 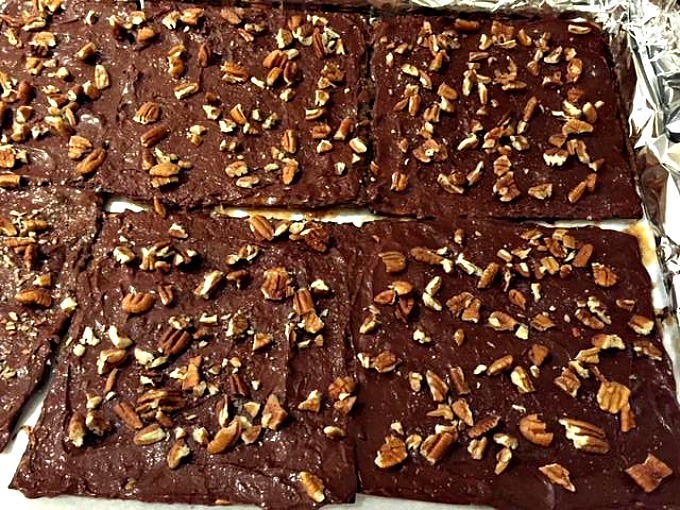 If you enjoy Health Bars you’ll love this version made with Matzo. 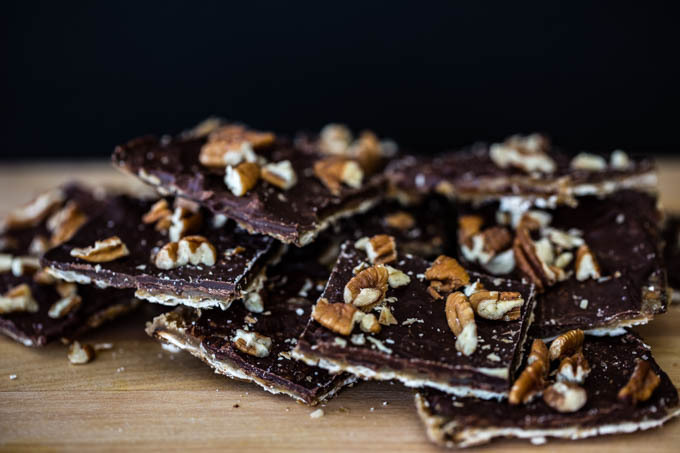 You don’t have to be Jewish to enjoy Matzo Crack, and in fact, if you don’t have Matzo (aren’t celebrating Passover) you could make this with crackers. Matzo Crack was given this name because it’s so seriously addicting. 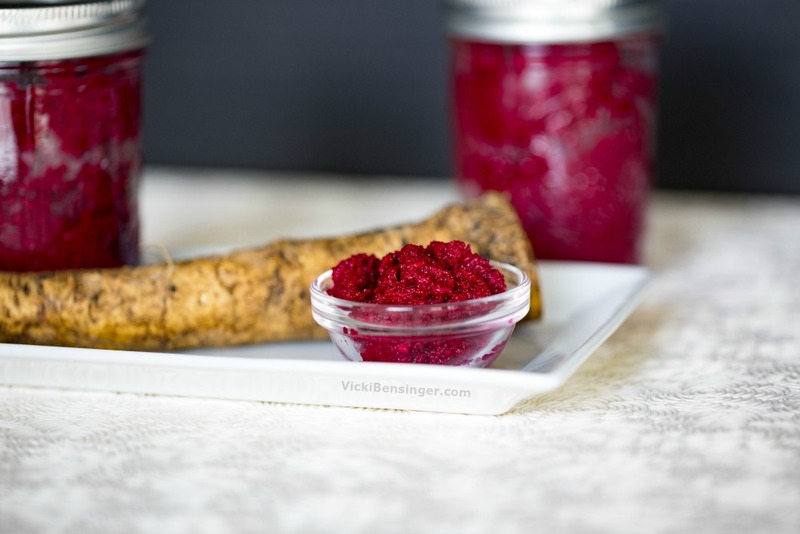 With still quite a few days left before Passover ends, you might like to give this a try. I’m certain your family will become as addicted to it as ours. 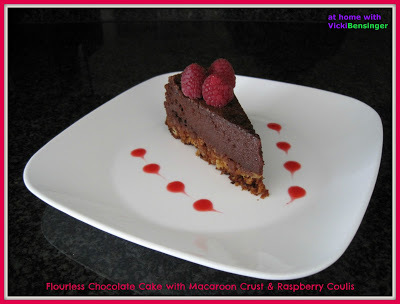 This recipe is quite simple to prepare and makes for a nice treat. Follow the directions below and it will come out perfect! 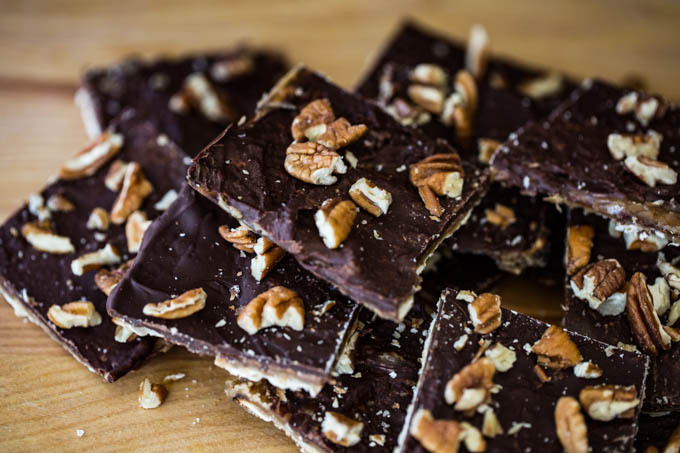 For a delicious Passover treat try this Matzo Crack. 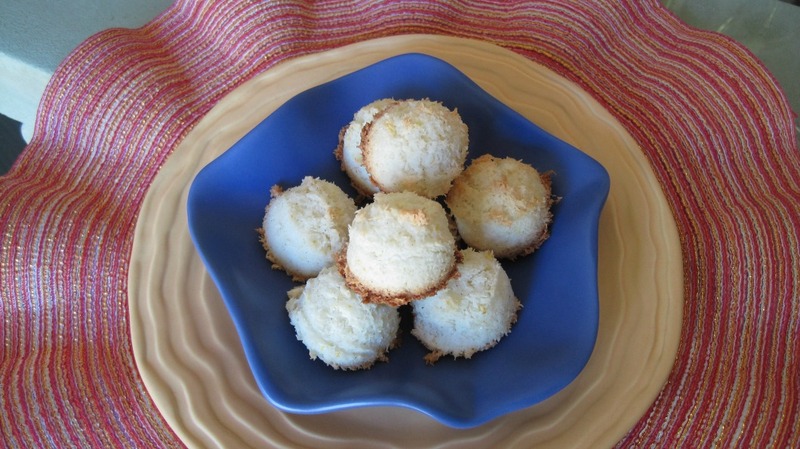 It's so easy to prepare, delicious and addicting - so pace yourself! Preheat oven to 350F degrees. Line a rimmed baking sheet with heavy duty aluminum foil, enough to go over the edges, then top with parchment paper. Set whole matzo on sheet, if necessary cut to fill entire pan. Make toffee: Combine butter and brown sugar in a medium saucepan. Cook over medium heat, stirring constantly with a whisk, until mixture comes to a boil. When mixture comes to a boil, continue cooking, stirring until it gets foamy and thickened. (toffee will be extremely hot!) 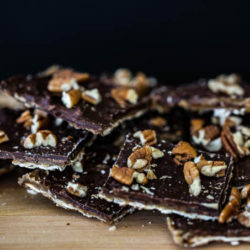 Immediately pour toffee over matzos. Using an offset spatula, spread evenly over matzo. Place pan into oven and bake until the toffee is bubbling all over, approximately 10 minutes. Remove pan from oven. 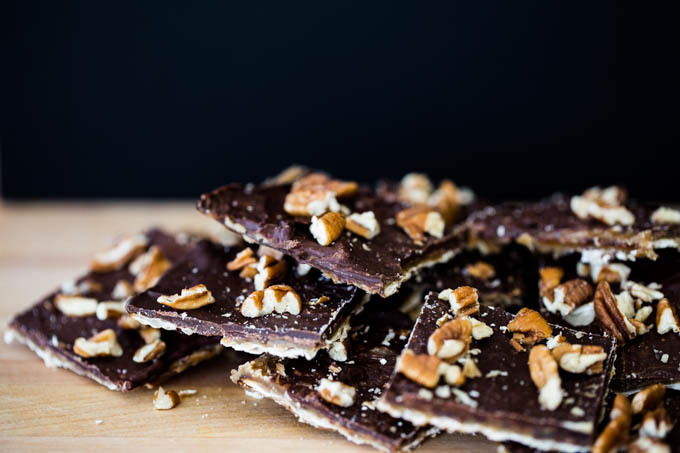 Immediately scatter chocolate chips onto matzo, completely covering toffee. Wait 3-5 minutes for the chips to soften. 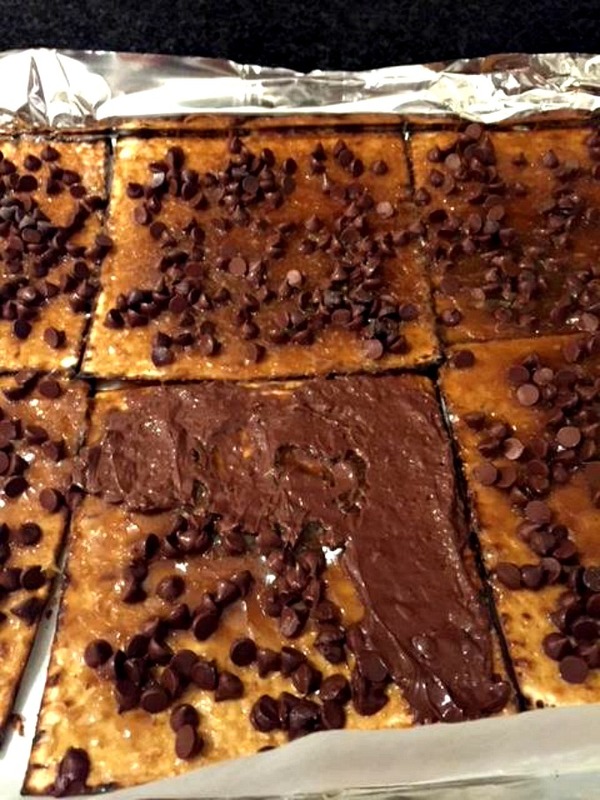 Using an offset spatula spread chocolate evenly over toffee covered matzo. Sprinkle with pecans and sea salt. Refrigerate until chocolate is firm, approximately 45 minutes. It's best not to leave it in the refrigerator overnight or it will be challenging to cut. 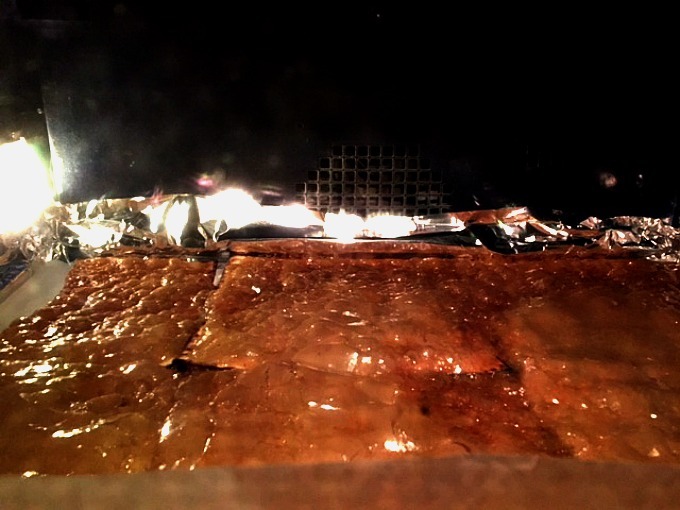 Lifting foil, transfer matzo crack to a large cutting board. Using a large sharp knife, cut into approximately 2-inch bite sized squares. Store in an airtight container refrigerated, until ready to serve.